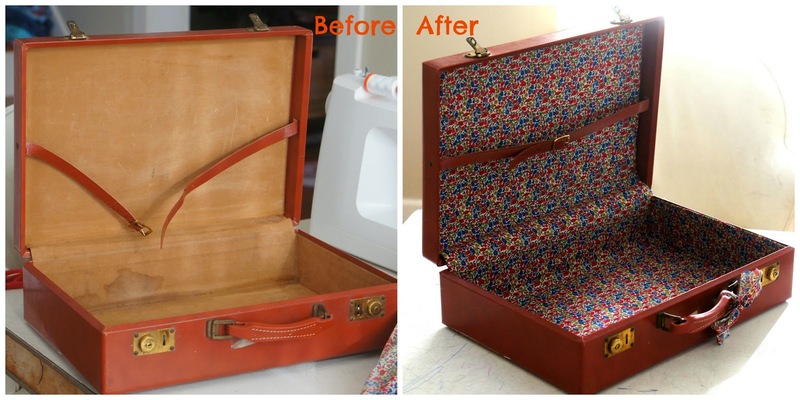 Here's a quick and easy tutorial on how to makeover a vintage suitcase. Kaya has a lot of stuff. Kaya needs a place for her stuff. 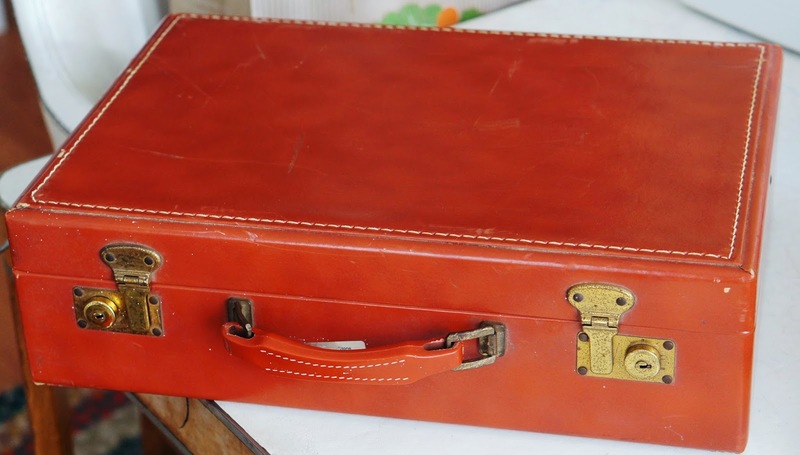 Meet a $4 vintage suitcase from Goodwill. Step 1: Do your best to clean out the inside of the suitcase. I used the vacuum and some baby wipes. 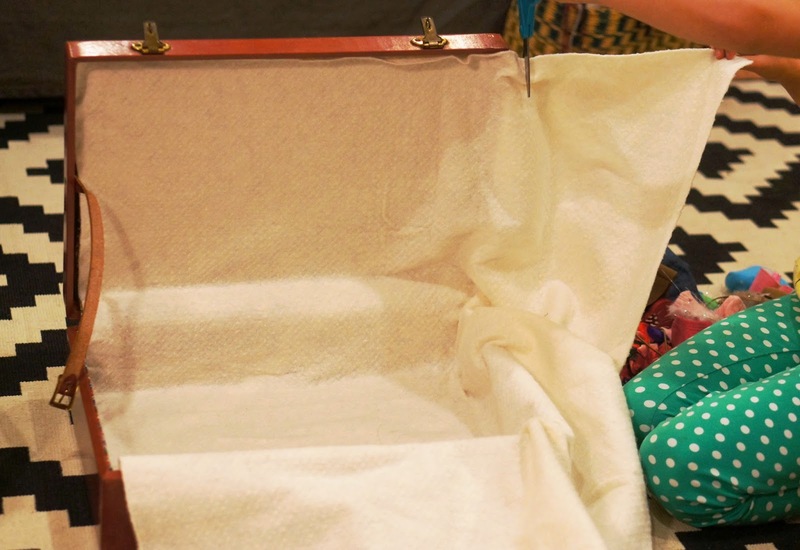 Step 2: Lay your batting over the inside of the suitcase from the top of the lid all the way down to the handle. Cut to size (you should have a large rectangle - this does not need to be perfect, just do the best you can). Cut two smaller rectangles for the left and right sides. 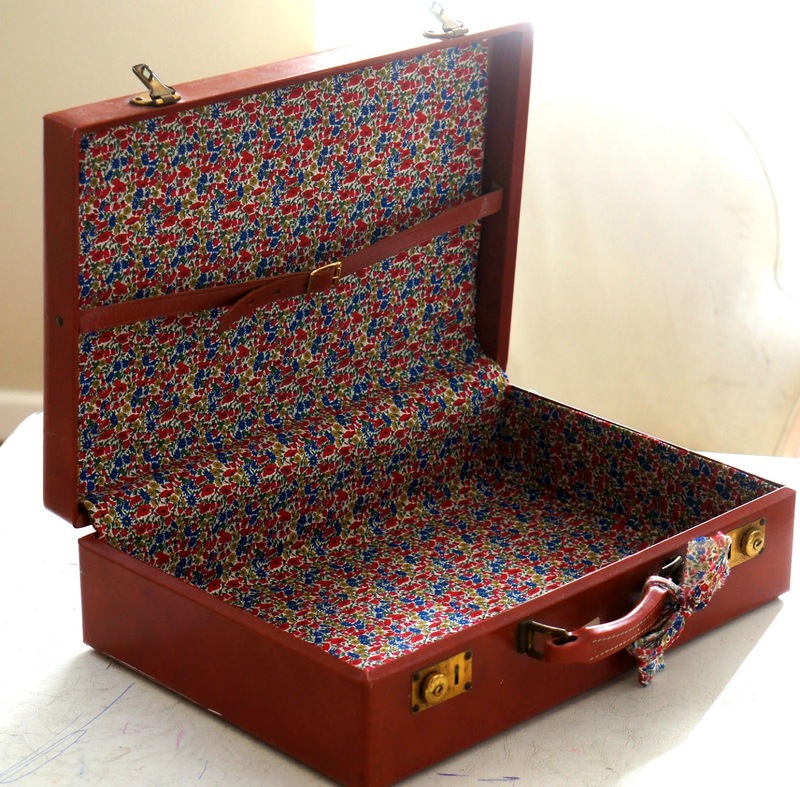 Cut the batting so it fits just inside the suitcase. Step 3: Lay your batting on top of your fabric and cut out your fabric leaving about an inch or so of extra fabric all the way around. This is a side piece. 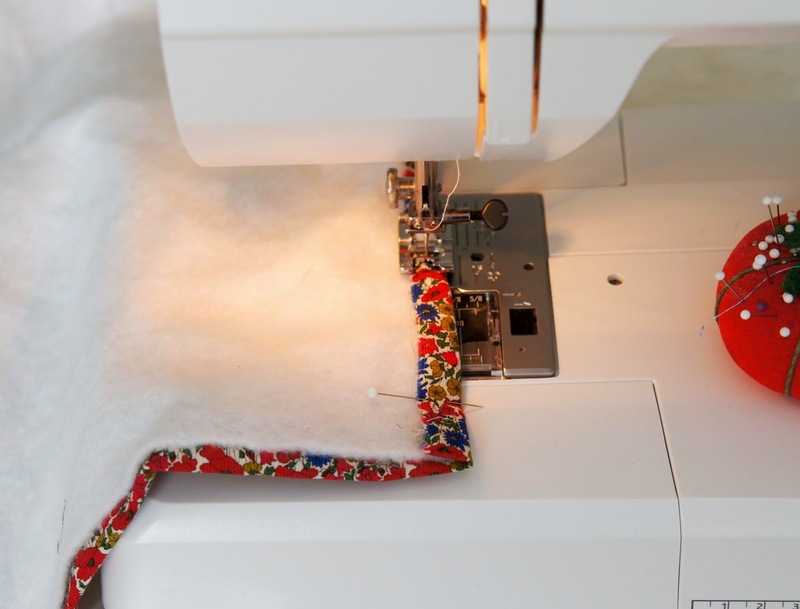 Step 4: Pin the fabric over the batting and sew around (this would be easy to hand sew if you do not have a sewing machine). Again, perfection is not necessary; just do your best. Step 5: Get your glue gun ready. Glue gun the large piece in place, starting at the top of the lid and ending at the handle, flattening and straightening as you go. Glue gun your small pieces on the sides. Step 6: Cut a strip of fabric and tie in a bow on the handle. You're done! Now Kaya has a place for all her stuff! And when Kaya's happy, we're all happy.